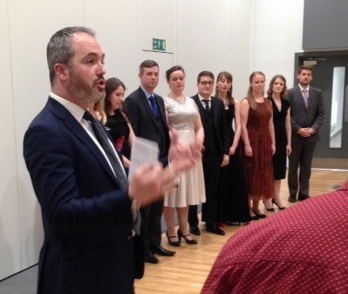 took place at the London College of Music on Wednesday, May 31st. This was the first time that the competition was held at thhe LCM and the AESS is grateful to the Director and Staff for their generosity and support in loaning the use of their facilities. Ten singers and pianists performed five twenty minute themed recitals of their choosing, using poetry, prose and English song which the enthusiastic members of the audience greatly enjoyed. 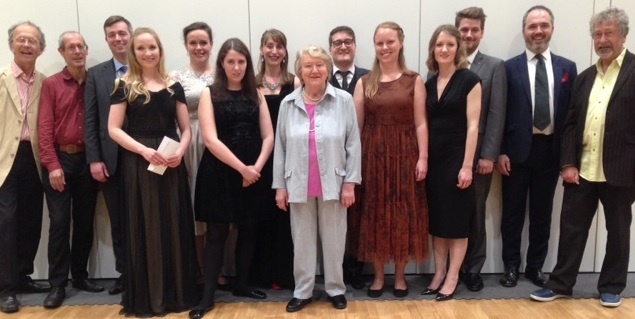 Dame Patricia Routledge spoke about her own experience as a young singer learning to enunciate clearly under the tutelage of a demanding singing teacher. She acknowledged her admiration of the dedication of all of the performers as they strove to fulfil the remit of the competition. Former winner, Samuel Evans, spoke about the judging criteria. Communication was the watchword for the judges among other considerations. Sarah Leonard presented the awards. 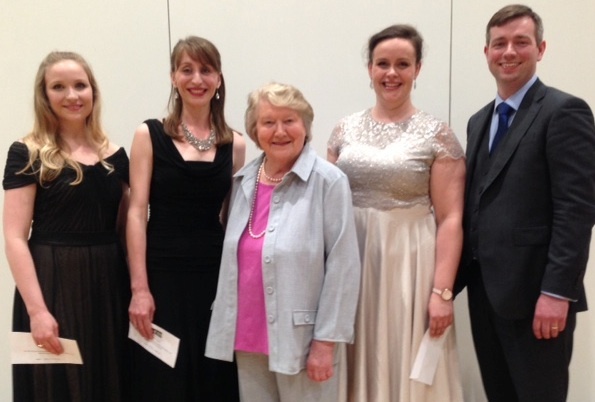 The AESS is extremely grateful to Dame Patricia Routledge for her long association with and generous sponsorship of the Senior Prize. The AESS hopes that all the singers and pianists found the competition to be a valuable experience in developing their artistic and performance technique. The AESS thanks them for helping with its core aim ‘to encourage the communication of English words, in singing and speech, with clarity, understanding and imagination’. This entry was posted in Past Events on June 4, 2017 by AESS.